A pilot RSPCA scheme that helps children to learn about animal welfare is now being rolled out nationally – and your school could get involved. 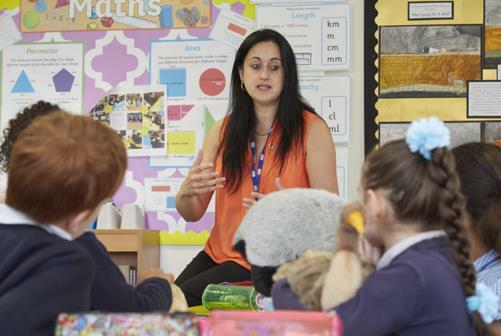 Earlier this year, the RSPCA launched a pilot teaching resource, Compassionate Class, for schools in Manchester to encourage children to learn about animal welfare. The aim is to inspire the next generation of compassionate individuals and prevent cruelty to animals in the future. Following the huge success of the pilot project, the animal welfare charity is rolling the scheme out nationally and key stage 2 classes (7 to 11-years-old) are being asked to sign up. The resources are designed to fit into the national curriculum covering the PSHE in England and PSE in Wales curriculum plus they support Spiritual, Moral, Social and Cultural education (SMSC) and other core subjects. The programme uses enquiry led learning to create debate about animal welfare which is promoted by the interactive resources available for schools who sign up. David Allen, Head of Education at the RSPCA, said: “We are delighted to be rolling this scheme out nationally and hope that as many schools as possible sign up to become compassionate classes. The pilot in Manchester has been a brilliant success and I’ve been very impressed with the quality of engagement we’ve had. One of the schools who took part in the pilot was St Alphonsus RC Primary School in Old Trafford. Year Four won the Compassionate Class of 2018 competition after entering their video ‘Take Me Home’, a fun and informative take on the dating TV programme Take Me Out which tried to find the best owner for Patricia the Pug based on the five animal welfare needs. Year Four teaching assistant Michelle Dolan said: “The kids absolutely loved Compassionate Class. We did quite a few hours following the programme and then they came up with the ideas for the competition and that was all they wanted to do. We put hours aside for it and they did some in their own time as well. They seemed to get a lot out of it. The children learnt about the animal heroes who work for the police, sniff out bombs or help their owners with disabilities. They learnt how litter can harm wild animals and the everyday things they can do to make life that little bit better for the animals around them. There will be more resources for schools to try this year and the opportunity to showcase what they have learnt by entering a competition to win the title of ‘The Most Compassionate Class of 2019’. Plus there are a number of visits to RSPCA animal centres to be won so the children can see the RSPCA in action and the animals they care for.